It was another hair-pulling day on the startup front lines. 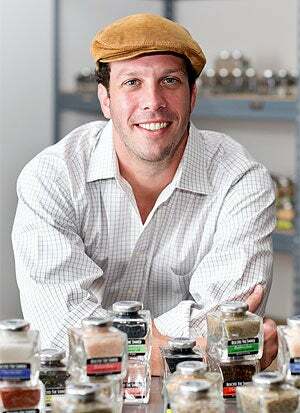 Scott Rousseau had spent $700 to exhibit his gourmet sea salt at a retail trade show, but the place was a ghost town. "Nine hours a day for three days in a row, and it was a dead loss," recalls Rousseau, owner of Woburn, Mass.-based Beyond the Shaker. Worth his salt: Scott Rousseau of Beyond the Shaker. Rousseau and the exhibitor in the next booth, a woman with a jewelry line, had plenty of time to get to know each other. A month later she reached out to him with an idea: She suggested that Rousseau take part in the wholesale New England Made trade show, despite its expensive price tag. Rousseau risked $2,000 on the tip, purchasing a booth at the 2012 show. The move paid off: He closed deals with 15 stores and two distributors. One of the distributors had her own trade show, which in turn led to 10 more accounts--a breakthrough event critical to Beyond the Shaker's growth, as it moved the company's focus to the wholesale arena. There's an irony at the root of entrepreneurship. You start a business to be self-sufficient and self-directed, but you can't achieve that without other folks lending a hand along the way. Particularly in a venture's early days, you are hardly a rugged individualist--more like a humble supplicant, reaching out for a sale, a distributor or an investment wherever you can. Contrary to the myth that entrepreneurs are one-person shows, there are hordes of people and events along the way that make small businesses possible. Knowing the scenarios that can help push a startup from treading water to liftoff--those crucial turning points--is essential for any entrepreneur. The catalysts for such events come in many forms. It may be the introduction of key investors, manufacturers or clients; luck or serendipity can be factors as well. But the vast majority come from changes in attitude and tough personal choices. Opportunities for turning points don't fall from the sky. Change comes from relationships--connecting with others in a way that allows your idea, enthusiasm or opportunity to strike a chord. The critical lever is candor: treading that fine line between projecting credibility and being unashamed about your basic needs. "Being an entrepreneur and being shy don't go together," says Jay Miletsky, founder of New York-based MyPod Studios, part of the $7 million Sequel Media Group. "You can't be bashful in making a request." Miletsky wasn't, getting his original investment of $400,000 from his girlfriend's boss and an acquaintance in his family network. He launched his site in 2010 as a platform for businesses to share videos with clients outside of YouTube. But the sales cycle was too long for corporate clients, and his initial investor was calling twice a day for progress reports. After three "very miserable" months, he turned to a not-so-near acquaintance: his mother's friend's daughter's husband. The two weren't particularly friendly, but necessity is the mother of geniality. "I knew he was in this industry," Miletsky recalls. "I asked him, ‘Can we grab lunch?' I told him, ‘I know you know a lot about this industry, and I'd like some advice.' Everyone likes to feel they can give advice." Turned out the man had funds, a small incubator for new online ad businesses and the contacts needed to shift MyPod Studios to a consumer, ad-supported video site. Without him, Miletsky says, "we would have been hard-pressed to afford being able to make the switch." For consumer products, finding an influential buyer is a time-tested route to success. It often happens when someone at a large retail operation opens doors to shelf space, influencing others. For Ginny Simon, a former nutritionist in Miami who started ginnybakes, a line of organic, gluten-free bake mixes and cookies, that key force was Eddie Neam, manager of a Fresh Market grocery. Neam tasted the product, liked it and sent it to company headquarters in Greensboro, N.C., where it got the thumbs-up for distribution among all 120-plus Fresh Market stores. Ginny Simon of ginnybakes found a recipe for success. "If it wasn't for Eddie, I don't think there would be a ginnybakes," Simon says. "He gave me my first break." Simon, who launched her venture in 2010 for $25,000, has ridden that break far. Not long after Fresh Market accepted her products, she got into Whole Foods Markets in the Southeast, and later into 70 Publix stores. Ginnybakes expects to see sales of $3 million to $5 million next year. Simon's husband, Steve, has quit 26 years of lawyering to help manage the company. "The local Whole Foods and Publix buyers believed in me and my product and that the local community would want it," Simon says. "And we had the right product at the right time. I would say it's karma. We were at the head of the trend to gluten-free." While Simon's turning point happened quickly, for Richelieu Dennis of Amityville, N.Y.-based Sundial Brands, it took 20 years and a bit of expert guidance. Dennis and childhood friend Nyema Tubman, exiled from their native Liberia by civil war, sold shea-butter soaps, crafted from a recipe by Dennis' grandmother, on the streets of Harlem in the 1980s and '90s. They then graduated to flea markets, festivals and county fairs. "There were so many no's, so many artificial barriers," Dennis says of breaking through to a larger market. "The ability to forget is a prerequisite for an entrepreneur." 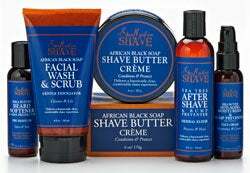 Store buyers pigeonholed his hair and skincare products as ethnic items that should be sold at bargain-basement prices. But Dennis saw Sundial as a premium brand with appeal to all. For 20 years the company's long-term solvency was uncertain, but the partners persevered until they met Macy's buyer Debbie Murtha at a diversity fair. She gave them a primer on branding and pricing, leading to an order from Macy's in 2008. The right mentor made a difference for Sundial. "She gave us access to high-level retailers and the opportunity to be successful. It was truly, incredibly validating after so many years," Dennis says. The Macy's cachet led to an even bigger buy from Target, where Sundial launched its SheaMoisture brand in 2010. Before the Macy's order, Sundial had 20 employees; today the company has 100. Even experienced entrepreneurs don't have all the answers, so an unbiased outside opinion can offer clarity. At Redbubble, a website where independent artists sell wall art, T-shirts and other products, company identity was a sticking point. Board members had initially positioned Redbubble as a market for high-end art. But after the Melbourne, Australia-based company invested $150,000 in an outside review with focus groups, they learned that consumers were more interested in unique items selling for less than $60. "We ended up riding a wave we didn't know existed: people against mass products," co-founder Martin Hosking says. The company rebranded after the study, resulting in 100 percent sales growth annually for the last four years. Redbubble now has annual sales of $25 million. New perspectives also helped Adam Miller, CEO of Cornerstone OnDemand, a company that sells cloud-based talent management and human resources software. A trip around the world when he was 25 taught Miller that he didn't have all the answers, and that he needed to watch his step: A slip on an icy Himalayan ridge almost cost him his life before a Sherpa guide caught him. Miller, who started Cornerstone out of his New York apartment in 1999, brought in a consultant in 2005 to help with another slippery slope. His sales team didn't seem to know how to solution-sell and weren't using case studies of early clients effectively. Additionally, the company name, CyberU, "didn't give prospects the feeling the company was viable," Miller notes. His goal was an IPO, but Cornerstone "was nowhere on track to be a public company," he says. Miller decided to "fire" himself, take some time away and come back with fresh eyes. "It's remarkable what you can see when you do that," he says. "I saw all the things that were wrong with the business." After attending a sales seminar by Steve Martin, a business consultant and author, Miller asked if they could meet. Martin told Miller to act as if the firm had only 12 months to live; in other words, to rethink everything. Miller wound up changing the company name, repositioning and reinventing the sales operations. After the makeover, Cornerstone went on to raise its first venture capital round and in 2011 had a successful public offering. Today its products are used in 190 countries. Was it a stroke of genius or luck? "Luck is part of it sometimes," Miller admits, "but fortune favors the prepared."